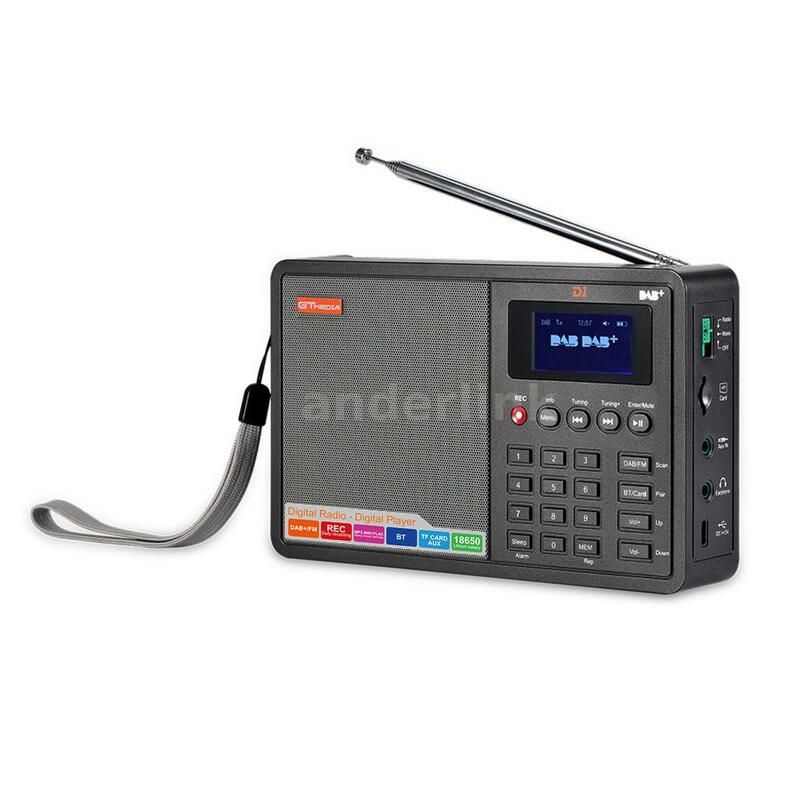 It is a portable DAB+/ FM RDS radio, environmentally friendly designed to minimize environmental impact. Take this with you when out or at family picnics or just listen to it in your back garden. DAB+ digital radio enables you to select stations by name, check out news, results, track titles and more on the scrolling text display, tune at the touch of a button; and listen in crisp, clear digital-quality sound. 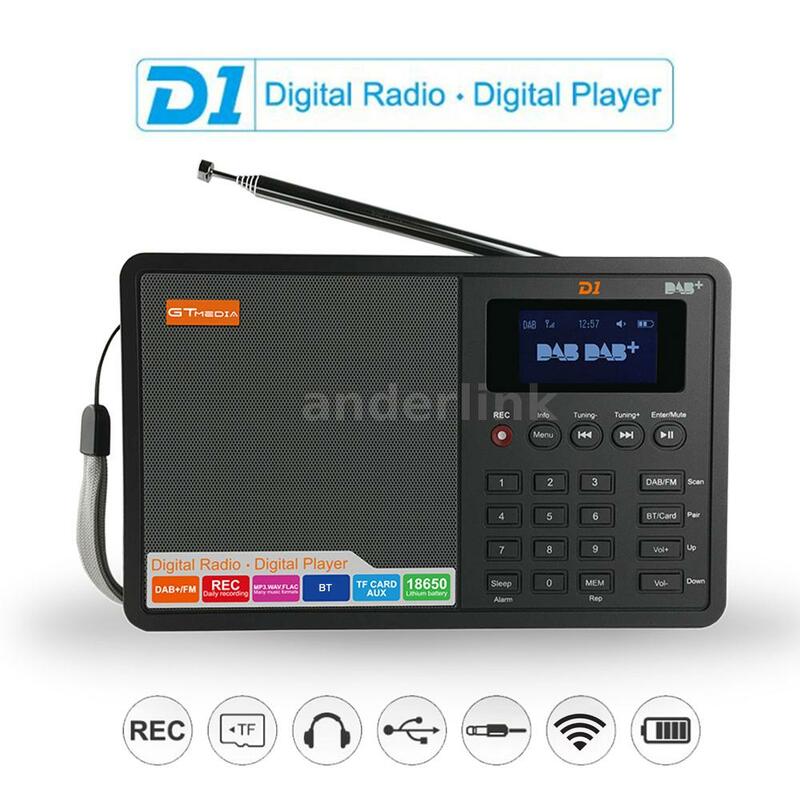 This digital radio support advanced DAB+ audio codec technology, which provides CD-quality sound. 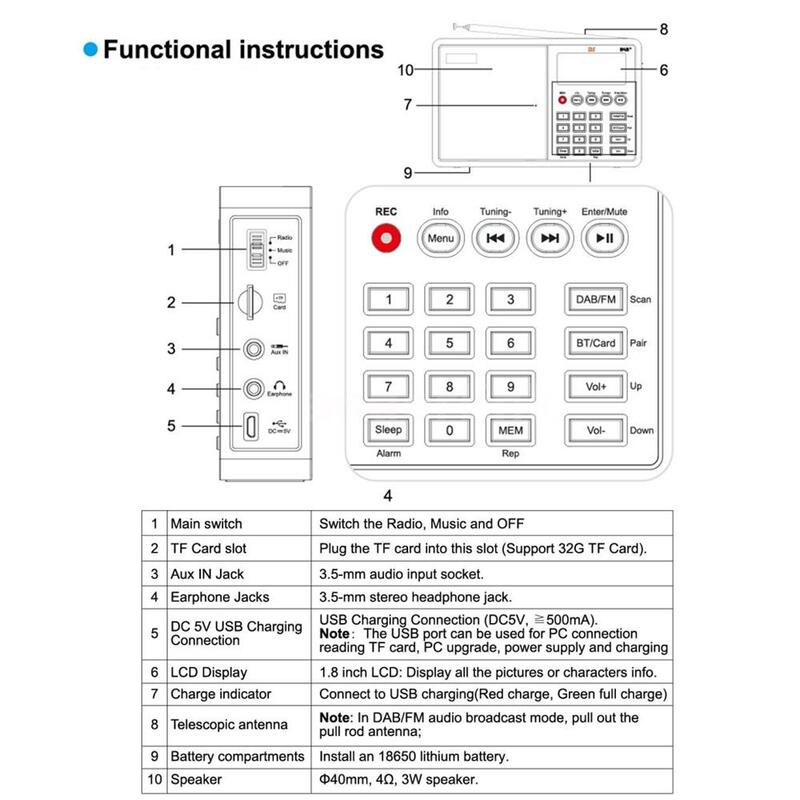 Moreover, it supports FM stereo radio. 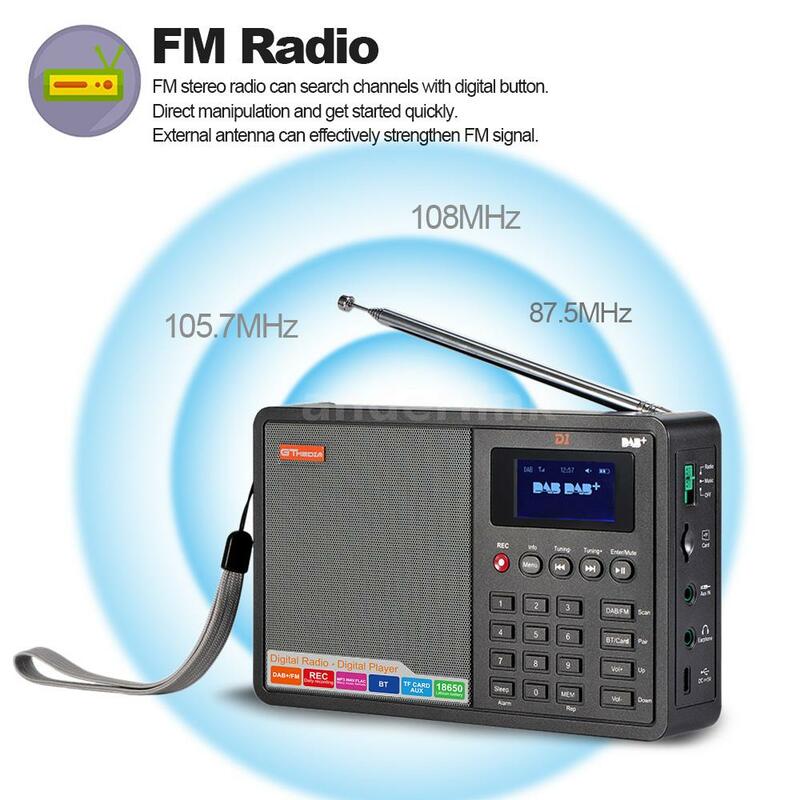 The FM band is 87.5-108MHz. 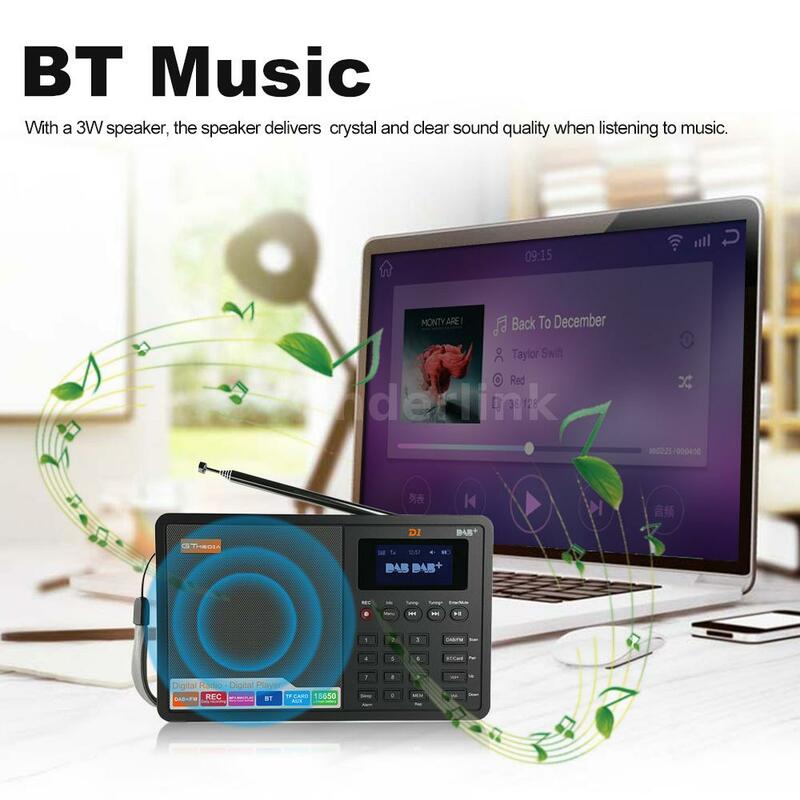 With advanced BT technology, this radio can be used as a wireless speaker, can easily connect with your BT-enabled devices, bring you more convenience. 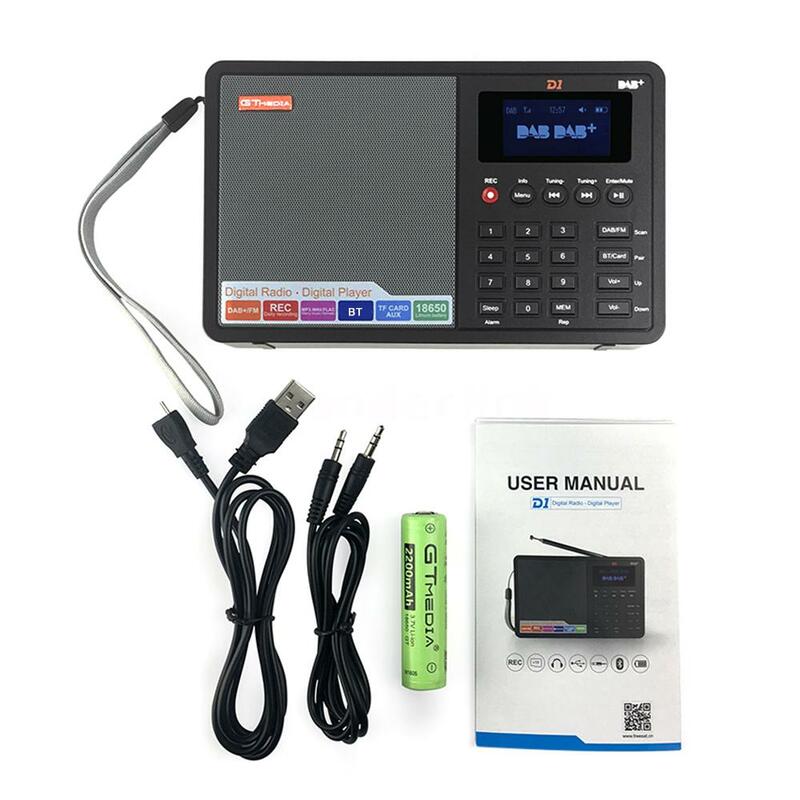 The 1.8 inch LCD display screen shows the modes, the stations, the battery life, the time and the date; the voice prompt can kindly remind you of the connection status. 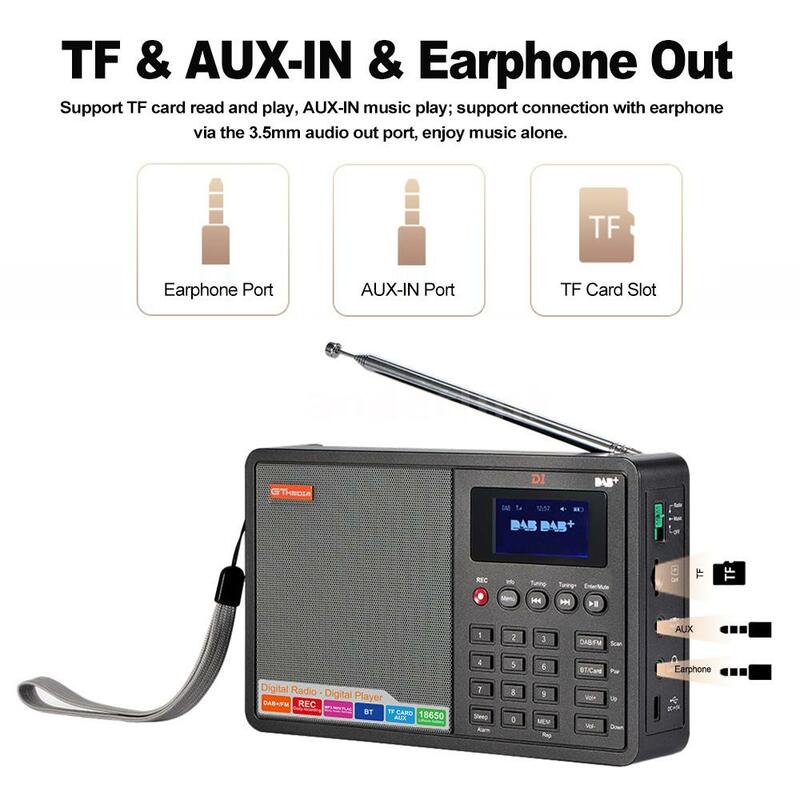 Support recording, TF card read and play, AUX-IN music play; support connection with earphone via the 3.5mm audio out port, enjoy music alone. 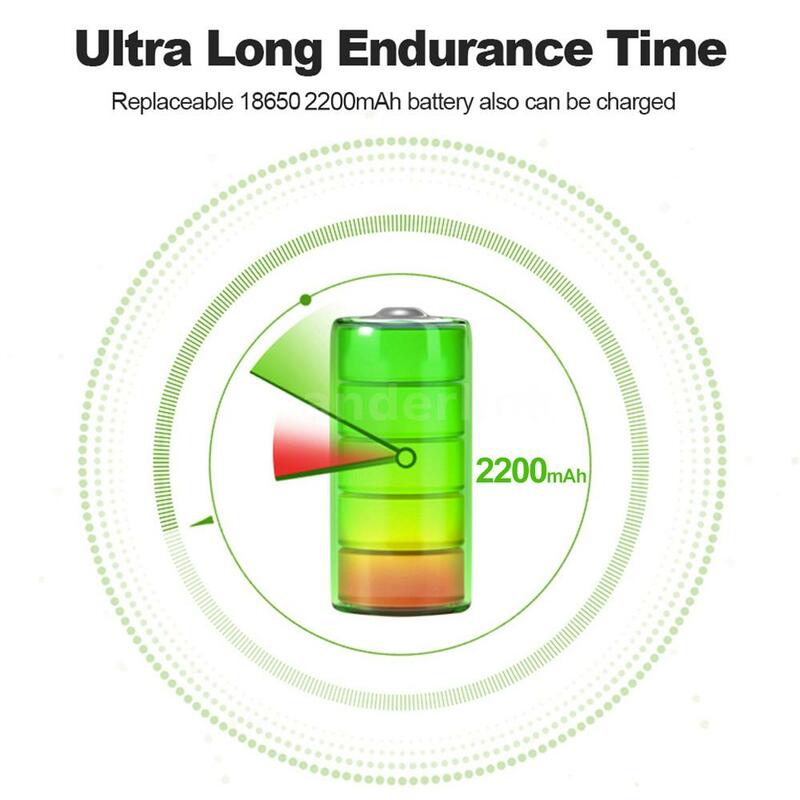 The time can be set up manually or synchronized via the DAB+ broadcast; there are 2 alarm clocks available for you to set, 7 levels up to 120 mins to set the auto shutdown time, 4 levels up to 60s to set the backlight time. 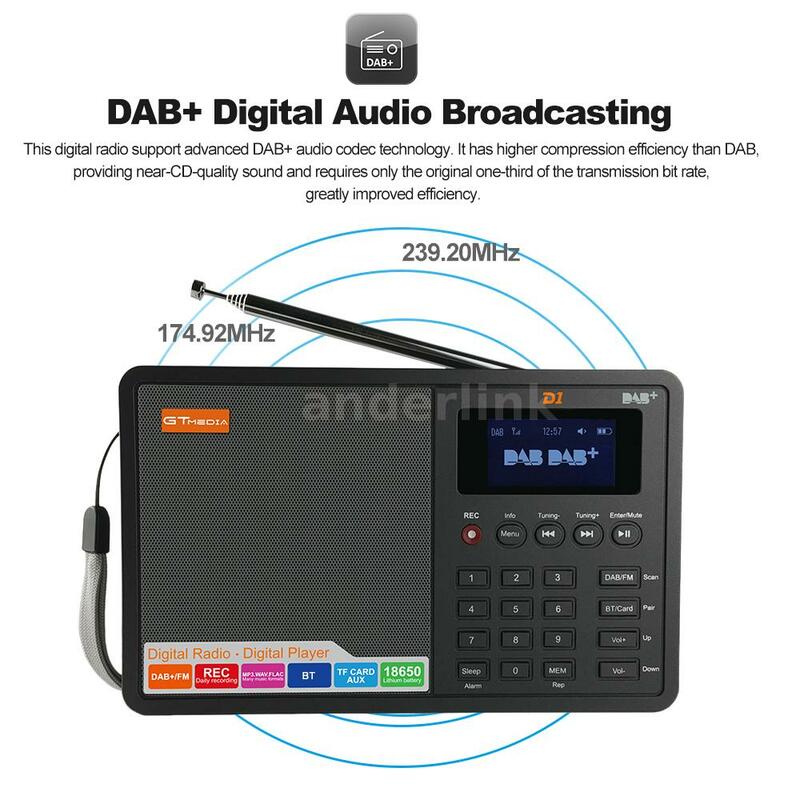 DAB/DAB+ Compatible Areas: Australia, Belgium, Czech Republic, Denmark, France, Germany, Gibraltar, Hong Kong, Ireland, Italy, Kuwait, Malta, Morocco, Netherlands, Norway, Poland, Slovenia, South Korea, Spain, Sweden, Switzerland, United Kingdom.